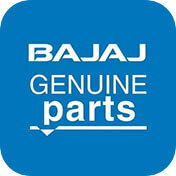 Bajaj Genuine Parts App is simple and easier way to find complete range of Bajaj Genuine Motorcycle parts. 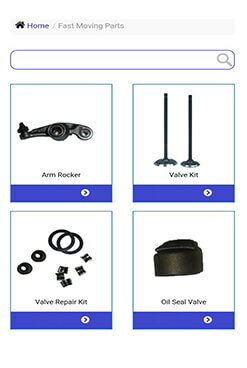 The app gives you access to most frequently used motorcycle parts, Genuine Lubricants and their prices. Most frequently required Motorcycle components such as Brake shoe, Air Filter etc. Disclaimer- The calculation performed by EMI Calculator is based on the information you entered and is for illustrative purposes only. This calculation reflects amounts in Indian Rupee rounded to the nearest whole figure. Estimated monthly payments DO NOT include any processing or other possible fees, which may depend and vary. The prices of the vehicle mentioned is approximate and need to be checked with the dealer for the latest price of the model. All loan figures are based upon non-commercial usage and are subject to credit approval from Bajaj Finance Services. Actual down payment and resulting monthly payments may vary depending upon type, regional lender requirements, and the strength of your credit. Check with your dealer for exact monthly payment.